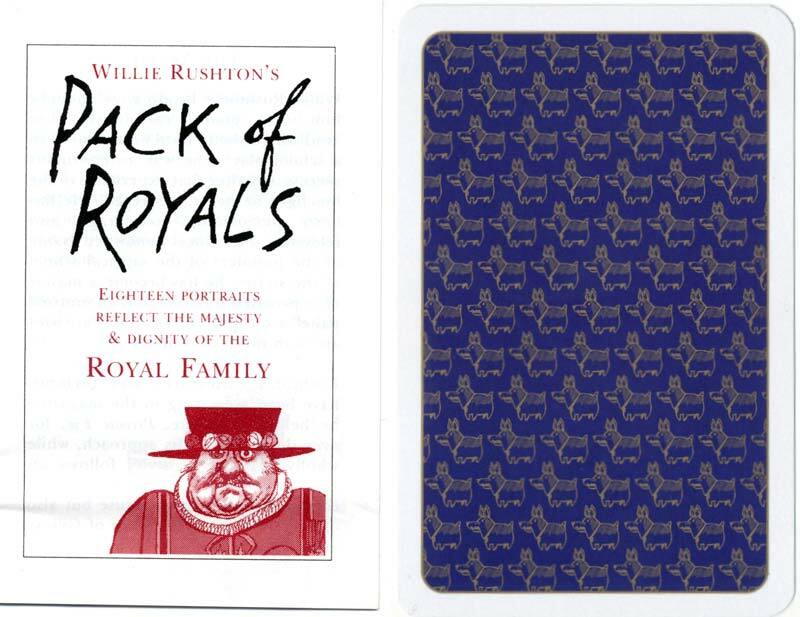 Above: Willie Rushton’s “Pack of Royals”, published by Anthony Bird and printed by Piatnik, 1995. 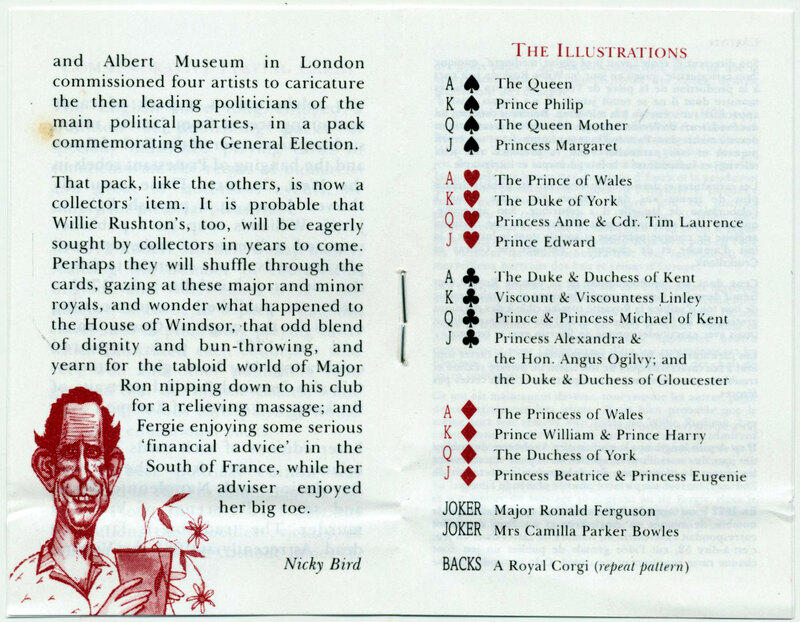 Packs contain 52 cards + two jokers + a bridge score card (extra joker) and an information booklet printed in English and German (is that a subtle joke referencing our German royal family, one wonders?) Images courtesy Matt Probert.